Eager and excited well-wishers will get a look at the fifth-in-line for the first time since he was born on April 23. The Duke and Duchess of Cambridge showed him on the steps of the Lindo Wing of St Mary’s Hospital in London after fans waited hours for his appearance. Prince William, Kate, Prince George, Princess Charlotte and Prince Louis will be seen in public together as a family-of-five for the first time as well. Prince Louis will be christened during an intimate ceremony with 20-30 people and Kensington Palace have said it will start at 4pm and last approximately 40 minutes. The new prince will likely make his debut after the ceremony outside the chapel on Marlborough Road and it is likely to be packed with crowds trying to get a glimpse Louis. 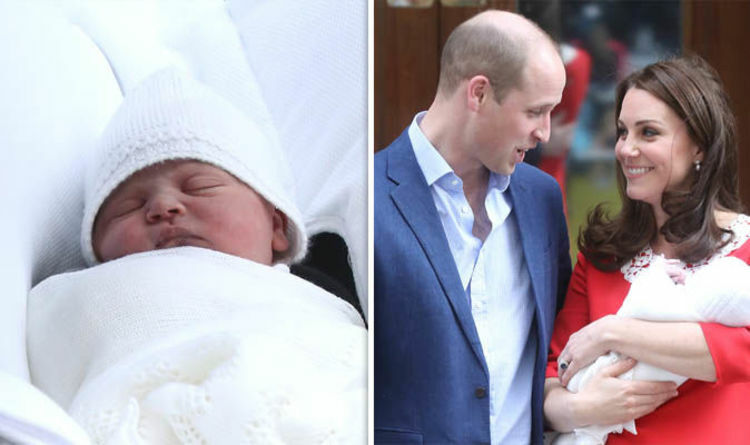 Prince Louis will be christened by The Archbishop of Canterbury Justin Welby and he will wear the same gown that was worn by his older siblings Prince George and Princess Charlotte. The dress is a replica of the famous Honiton lace christening gown and the original was made in 1841 for the christening of Queen Victoria and Prince Alberts’ first child Princess Victoria. Prince George was also christened in the Chapel Royal in 2013 and it a very sentimental location because it was where Princess Diana was laid before her funeral in 1997. Princess Charlotte was christened at St Mary Magdalene church on the royal Sandringham estate in 2015, which is where the Royal Family worships on Christmas Day. Even though the princess wasn’t baptised in the Chapel Royal, it was still a very important place for Prince William. It was where Princess Diana was baptised in August 1961. Princess Charlotte’s christening drew in huge crowds who were excited to meet the new princess as the Duke and Duchess of Cambridge invited the public. Prince Harry and Meghan Markle have been invited to the christening. The Queen will be attending her great-grandson’s christening, but it is unknown if Prince Philip will be there since he has retired from public engagements.